There is good news for all the candidates who are seeking jobs in Staff Selection Commission. SSC CGL Recruitment, calendar, exam date, important dates, official SSC CGL notification for several SSC CGL posts. So the Staff Selection Commission CGL notification will out soon for SSC Combined Level Graduate Exam. Candidates have to go through four phases that is Tier-1, Tier-2, Tier-3 and Tier-4. Below we provided all the information regarding SSC CGL Exam such as Education Qualification, Age limit, Syllabus, Group B/ Group C Salary, Result, Exam important dates, SSC CGL Calendar and all the latest SSC notifications 2019-2020. According to the latest SSC CGL notification, there are SSC CGL calendar which contains date for your different exam Tiers. You must check it carefully. All the candidates who are preparing to appear in SSC Exam must follow the eligibility criteria carefully. A small mistake can make a lot difference to their life. Here we have provided eligibility criteria for all the candidates. So, you must note down it carefully. 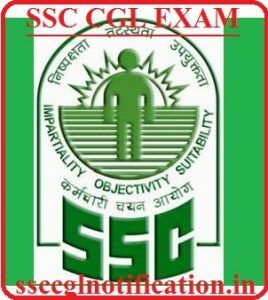 This eligibility criteria is as per latest SSC Notification. As by the Exam name (CGL- Combined Graduate Level) you know that it is a exam for the candidates who are possessing Graduate degree in of the stream from a recognized institute. Additional qualification for the same will be provided as soon as the official notification will arrive. Till then you must check this page regularly for Staff Selection Commission latest updates. SSC had made changes in the minimum and maximum age limit from the past years. SSC has notified that upper age limit will be 30 years and minimum age limit is 20 years. census, before retrenchment , and Weightage of past service. As I told you above candidate must go through four phases that is Tier-1, Tier-2, Tier-3 and Tier-4 Exam. Now I am discussing it briefly. This is good news for all candidates that there is No change in the Exam Pattern. Only change is the mode of exam from Offline to Computer based Exam. Paper-2 English Language and Comprehension (200 Questions of 200 marks). Paper-3 : Statistics (100 Questions of 200 marks). Paper-4 Finance and Accounts (100 Questions of 200 marks). NOTE : for each section there would be two hours given to you. This exam is proficiency (skill test *Wherever Applicable) & Document Verification, candidates have to show their real knowledge apart from bookish knowledge. All the information given above is as per the staff selection commission CGL latest notification. We advise you to book mark this page as we will provide you further information as soon as latest notification for SSC CGL 2019 Exam will arrive.